‘Tis the season! Thanksgiving is a wrap, which means it’s time to bring out the tree (if you haven’t already)! If you’re feeling a little extra creative this season and want to try something new, why not experiment with your decorations? 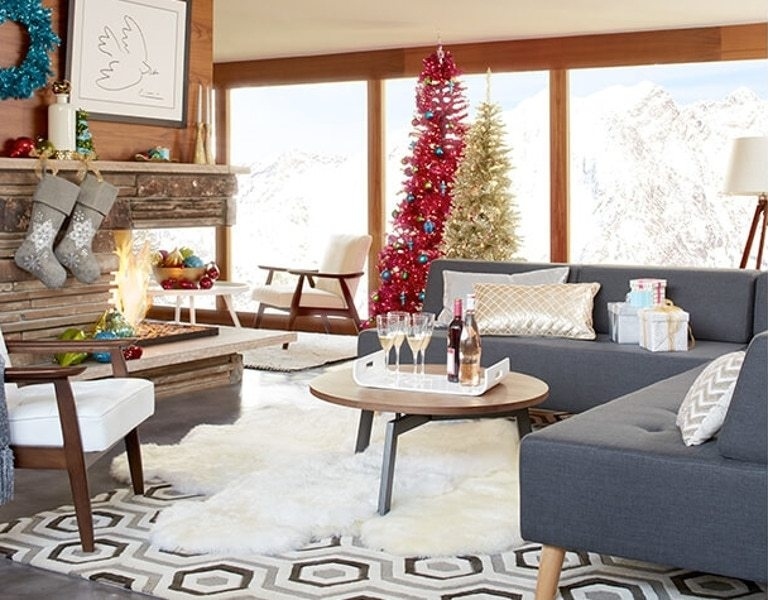 Check out our guide to different interior design styles and how you can bring them to life on your tree! Then gather the troops and get decorating. 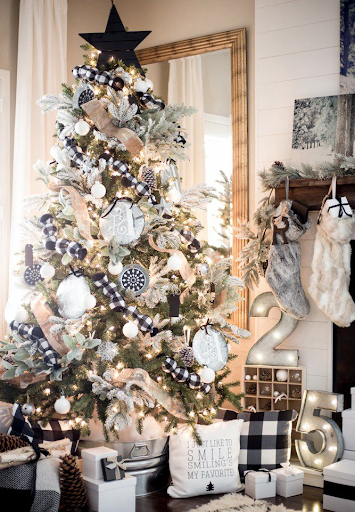 Achieving a rustic chic look is all about mixing textures and materials, like with this tree featured in Elle Decor. Wooden bows and the check-patterned garland bring the rustic elements, while a velvet bow and glossy white accents bring the chic. Not only are we crushing on the interior design in this Scandinavian home, but how cute is the wicker basket serving as a tree skirt? The key to this look is using a natural yet unexpected object to replace the traditional tree skirt, while keeping the add-ons to a minimum. For a more modern take, try using a large glass vase or up the hygge factor and dress the base of the tree in a blanket. Love a super modern look? How about a treeless tree? (No, we’re not kidding.) In this holiday trend, LED lights act as the tree branches supporting the translucent ornaments. But maybe only go for this one if you’re a true minimalist! Mid-century modern decor has taken the interior design industry by storm, and we’re not complaining! Those neon and retro colors add just the right amount of nostalgia to your holiday decorations. To rock a red tree (or purple or orange), grab a bottle of spray paint and get to work or seek out an aluminum tree in the color of your choice — whatever suits your fancy! Now it’s your turn! Show us your holiday decor. Post it here or on our Facebook page.